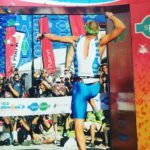 Competed in the sport of triathlon for more than 22 years, competed in 33 Ironman races and achieved 4 Top 10 finishes at the World Championships in Kona, Hawaii. In the first ever finish at the World Championships in Kona, Hawaii; I became the first ever South African to finish in the Top 10. In 2005, I finished in 7th place. In 2010, I finished in 5th place. 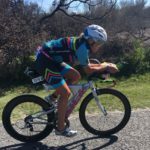 Natalie Tissink brings over 25 years of teaching, coaching and racing experience in swimming and triathlon.